Garage Cabinets Las Vegas specializing in Garage Cabinets, Workbenches and more! Having a Hard Time Parking in Your Garage Due to Too Much Clutter? If your garage is overrun with clutter and items that make it look like an expensive storage unit, it’s time to reclaim that space! Bigfoot of Las Vegas is the right choice for the perfect garage cabinets to help alleviate some of that clutter. 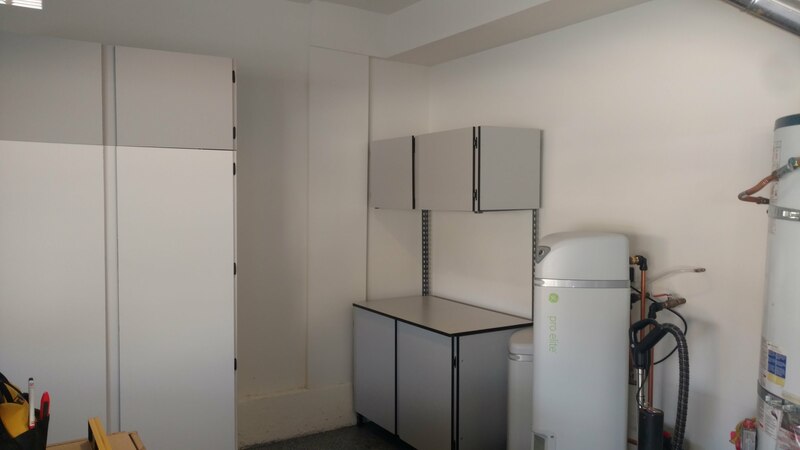 Our storage systems will not only free up space so you can park your car, it will help you to be more organized and thus have a little bit less stress to worry about. People have garages for a reason, to protect their car from the elements when not in use. Let us help you reclaim your space for your car. Instantly Create More Storage Space in Your Home! Let us help your family live more organized. Check out our best-selling package! It's our Deluxe Package; you get one style of your choice 8' x 6' x 2' and one 4' x 8' overhead garage storage racks delivered and set up for $795. This is our best-selling package because it gives you plenty of long term storage for holiday items and a huge amount of garage cabinet space for easy access of things you use more often. We provide garage cabinets and custom workbenches to our customers in Las Vegas, North Las Vegas, Henderson and Boulder City. Have a question now? Just drop us a line! 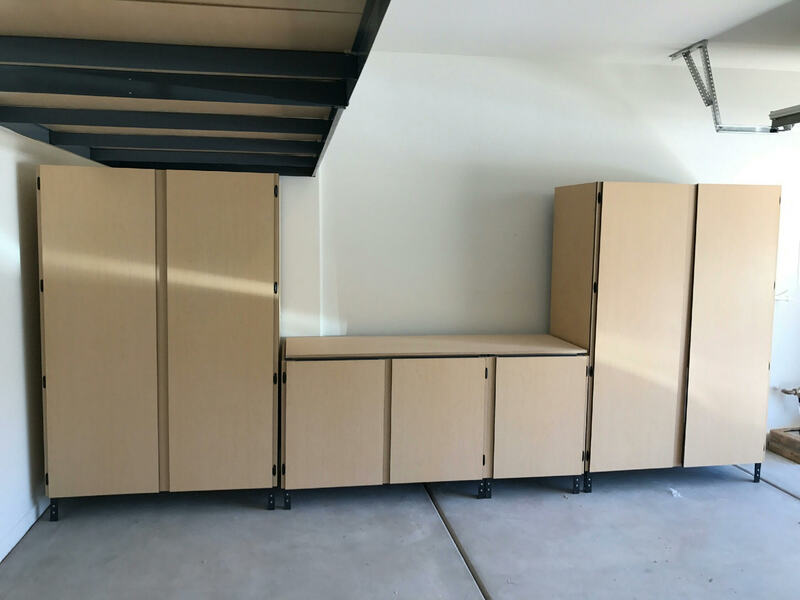 We are passionate about the quality products we use for our customers and we deliver superior garage cabinets at an excellent value for our customers in the Las Vegas valley. Bigfoot Garage Cabinets of Las Vegas offers a limited time warranty on all garage cabinets. We also will meet or beat any local manufacturer's price! The Strongest, Most Durable Garage Cabinets on the Market! 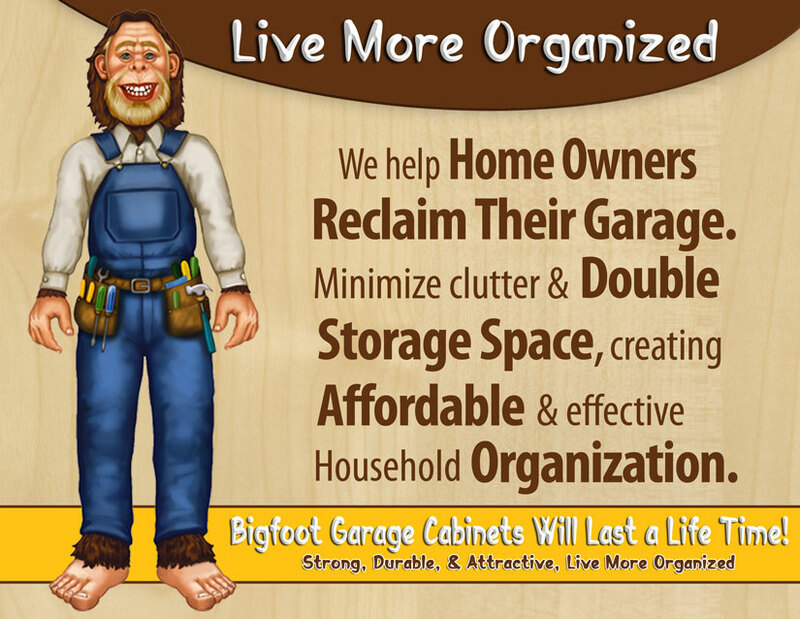 Bigfoot is ALWAYS the Right Choice When It Comes to Buying Garage Cabinets! Get started on you project right away by using our online form to Request a Call-Back. Or Simply Call (702) 763-9341 to speak to one of our Storage Experts! We offer Bigfoot Garage Cabinets, workbenches and floating cabinetry for your garage. 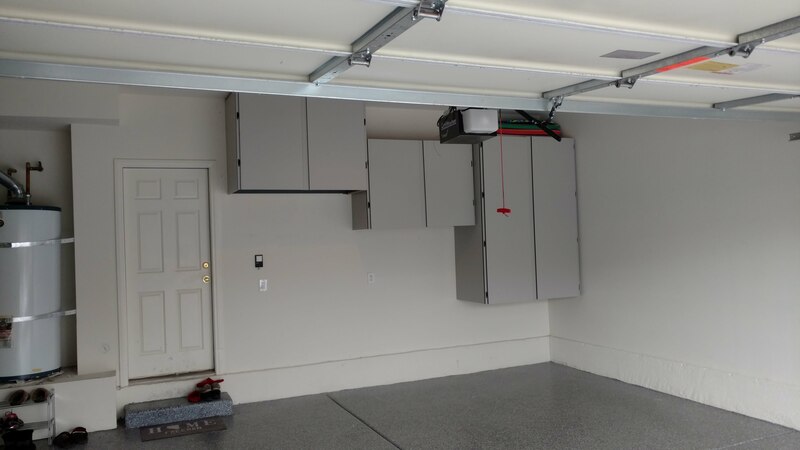 Not only do we provide garage cabinets but we also have many different sizes to fit any garage system. 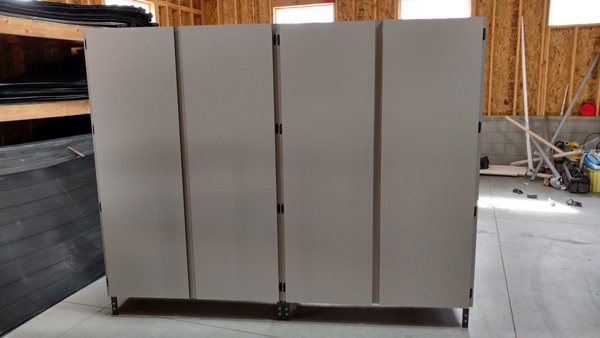 All of our cabinets are manufactured in our facility. To get started simply give us a call at (702) 763-9341 to learn more about this product, other products and services, or You can start by requesting a call-back. See what our customers had to say about Bigfoot Garage Cabinets of Las Vegas! Bigfoot Garage Cabinets of Las Vegas has been serving the Las Vegas Valley for years and have manufactured garage cabinetry for thousands of homes in Las Vegas, North Las Vegas and Henderson. We have our own manufacturing facility and a great team of people staffing it. 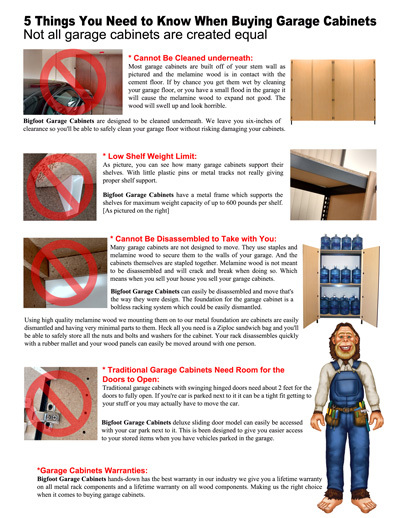 We offer many sizes and configurations for our garage storage systems to fit any space. 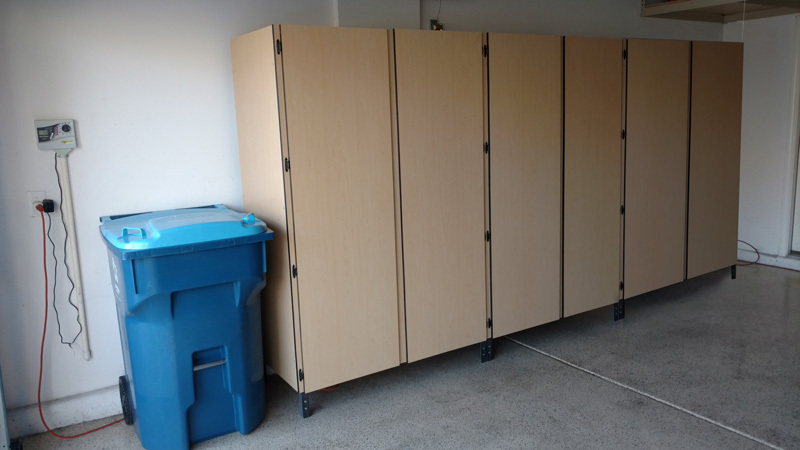 Our custom storage systems will not only help organize your garage, but maximize your storage space! Learn more about our product by clicking here. There are numerous reasons why we beat our competitors. For one, we have over 26 years of experience within the Bigfoot Company. Backed by great reputation with our customers, we are the best choice. This is a local Las Vegas business with friendly owners and staff. We do not try to upsell. Our cabinetry will last as it is anchored into the studs in the wall as a built in, and we do not hang our product on a rail. Our employees are not subcontractors; they are hired and go through up to 6 weeks of training on our brand products and in whatever area they are hired for. Our garage storage system installations are NEVER done by a sub-contractor. At Bigfoot Garage Cabinets of Las Vegas we offer you quick turnaround times and only use quality materials on all of our storage systems, benches, shelves and cabinets. We use only high quality products and hardware for our garage cabinets as well as our storage overhead systems. These things are very important in having a long-term good experience with the company doing your home's storage overhead systems.